The Spec Kit preselects two of the most popular options offered to help lower build time and make you’re buying experience easier. This kit only comes only comes with the Garret GT2860RS turbo option while having your wastegate recruited back into your exhaust system. Welcome to the newly revised JDL Auto Design 2860RS Spec Turbo Kit. It's compact and simple to install design makes it easy for the DIY individual with basic hand tools to participate in the gratification one gets from modifying their vehicle. The JDL Auto Design Turbo system is the answer everyone expresses about the twin platforms OEM power levels. 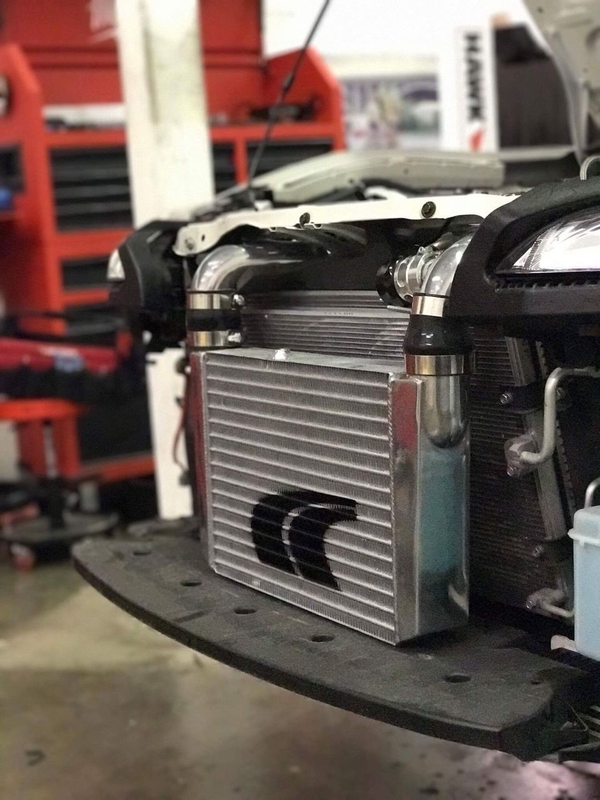 Nothing says you mean business more than the sight of that pronounced intercooler sitting behind the grill like a caged animal ready to attack. Just add a tune to any of our many variations and your car will take on a whole new attitude! If you do not already have a tuning solution we have you covered there too. Just let us know what we can do to assist you in reaching your performance goals by giving us a call. No matter the power goals we have you covered! *** We highly recommend calling us for a full overview and to find your specific needs! - Water + Oil cooled. - Balanced turbo that’s perfect for street and track. - Only available in recirculated option which is quiet and more manageable for daily driving. - If you opt out of pre-welded option you will need to weld in yourself on existing or new oil pan. - 3 bar sensor is required for tuning. - 4 bar option available if your tuner prefers 4 bar. - Benefits those who are aggressively using their car to lower overall engine bay temps. - Ideal for those concerned about overall engine bay temps. - Benefits those who are aggressively using their car to lower overall engine temps. - Helps keep intake temps colder overall. - Available only in 2.5" and 3"
This kit will also ship quicker than the standard custom build time.